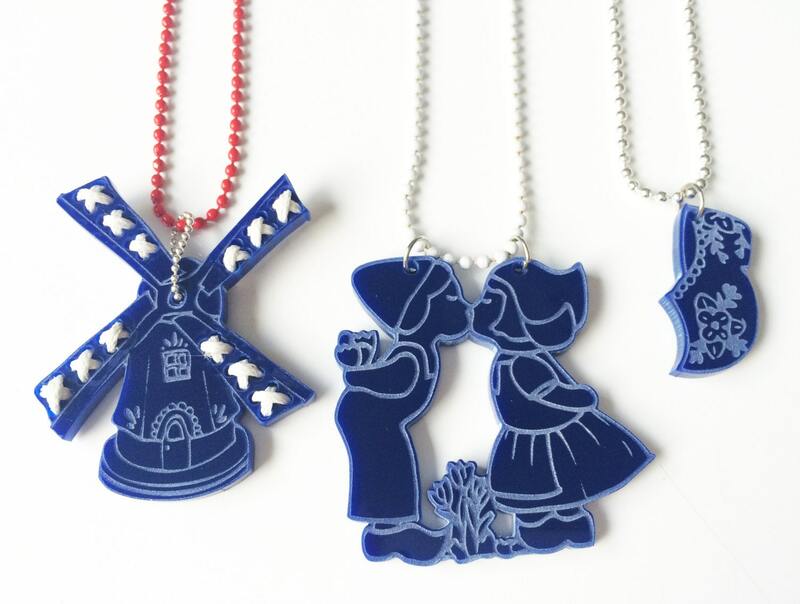 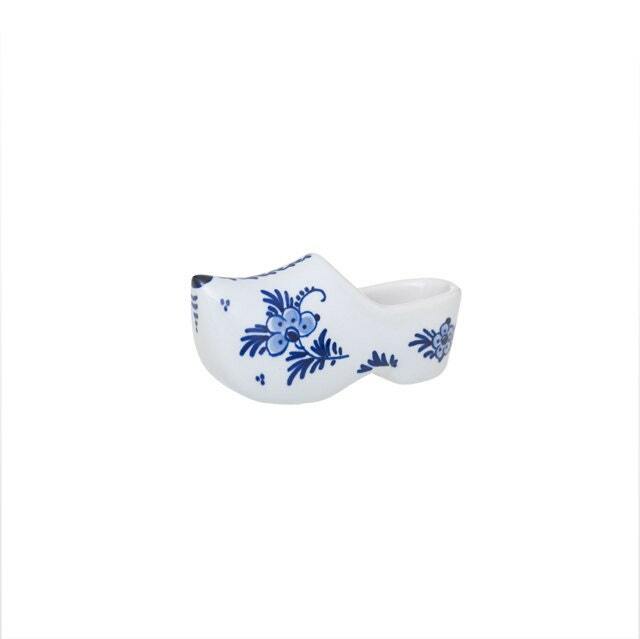 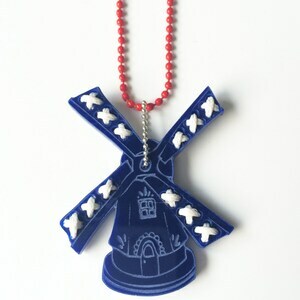 A modern version of the traditional Delft Blue Clog (or Wooden Shoe). 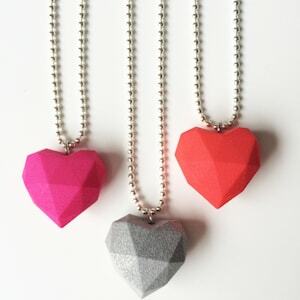 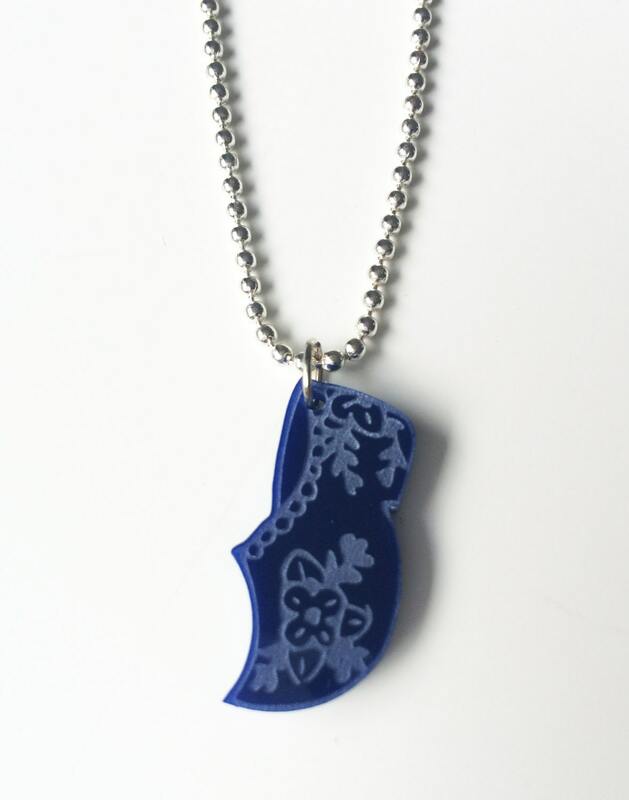 The pendant is made out of lasercut acrylic, combined with a silver ballchain necklace. 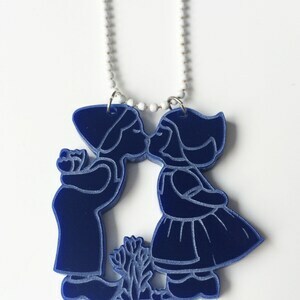 The pendant is about 2,8 cm (1,1 inch) tall + 1,4 cm (0,55 inch) wide and the ballchain is +/-70cm (27.56inch) long.